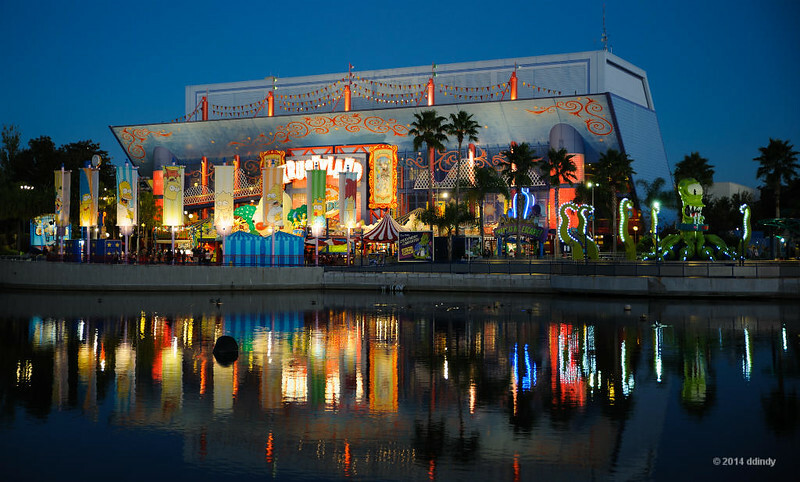 Post your photos from the Universal Studios side of Universal Orlando here. In December, 2014 I took a day and a half away from WDW to check out all of the new additions to Universal. I plan to go back in May to do more photography. I didn't have time to take my tripod, so most of my night shots are hand-held or using some other handy support. Thank goodness for vibration reduction! 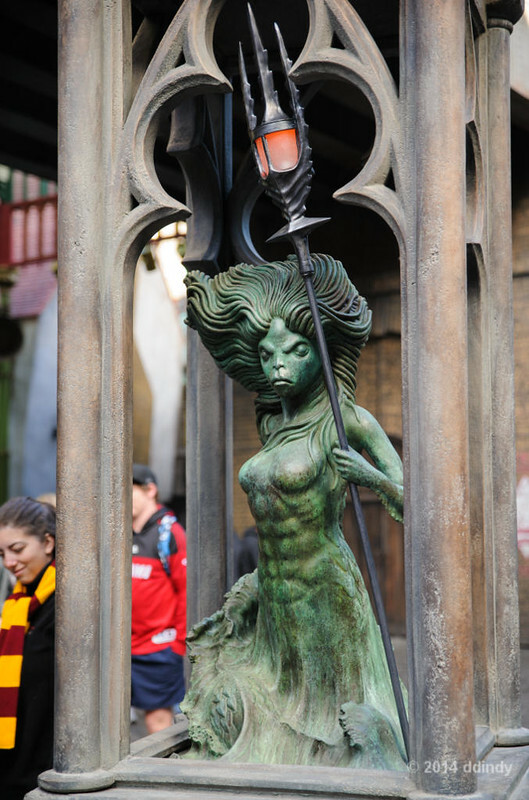 The area outside of the entrance to Diagon Alley is modeled, for the most part, around central London. The structure in the background is a copy of Wyndham's Theatre near Leicester Square. The Shaftesbury Memorial Fountain in Piccadilly Circus is reproduced in the foreground. (The fountain is commonly called the Eros Fountain, although the figure on top is actually Eros' twin brother Anteros). 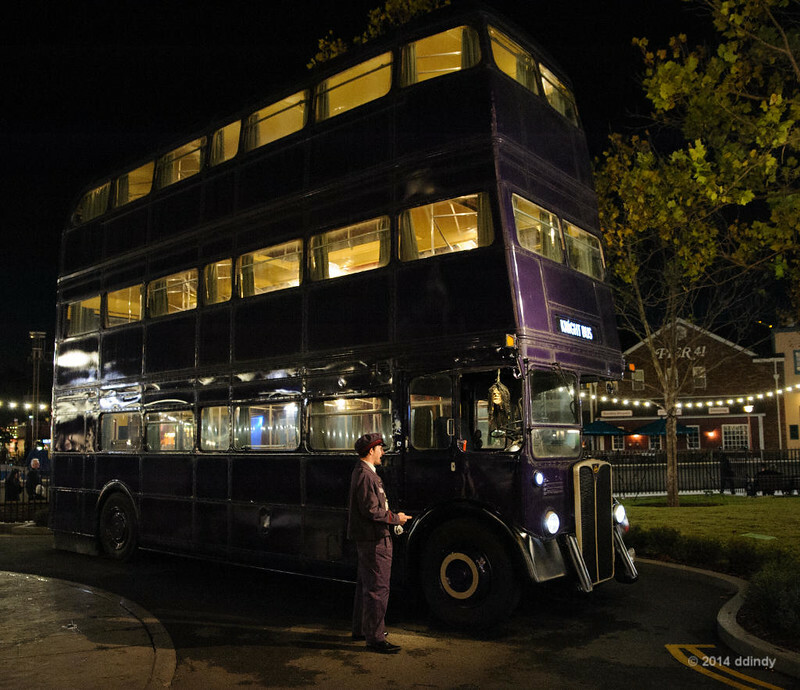 And if you're a witch or wizard holding your wand in the air, the Knight Bus is on the left waiting to give you a lift. 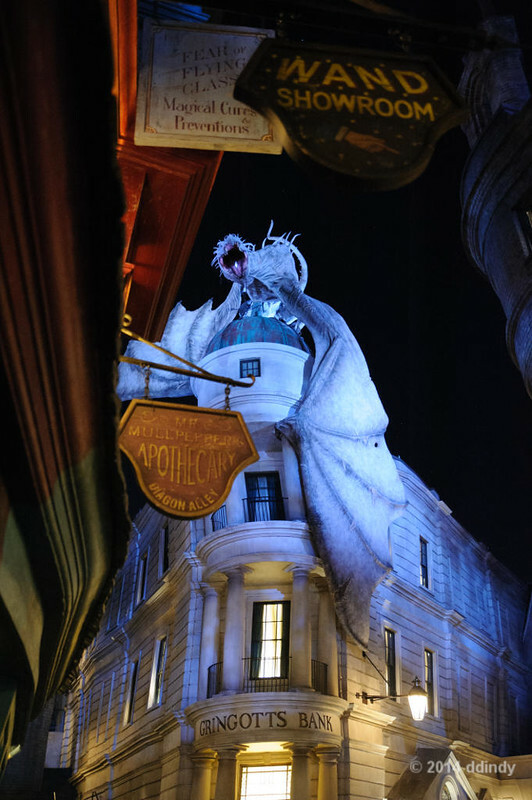 Gringotts Wizarding Bank uses a dragon (specifically a Ukrainian Ironbelly) to scare off would-be thieves. Muggles, however, are attracted to the area when they hear the roars that signal an imminent eruption. Was told I will be doing Universal on my next trip. Hope Gringotts is running that day. @Scottwdw I'm sure the goblins will "welcome" you. And if not, you can always take a trip on the Knight Bus. How about a little treat to help get through the rest of the week? 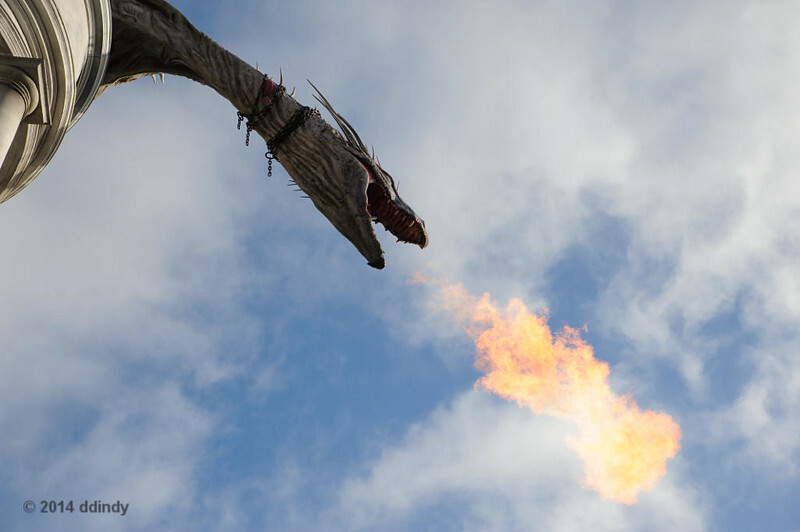 How can you tell when a dragon is about to breathe fire at you? There's a pilot light on its tongue. That's hot, @ddindy but I found this angle not so hot when the fire does come out. True, but that's the fun of new attractions - discovering the best photo angles. The best part of the Men In Black attraction is that it's new every time, thanks the neuralyzer shot you get at the end of the ride. Or so I'm told. The next time I try this shot, I want to use a tripod. I was too lazy to carry it with me on this day. 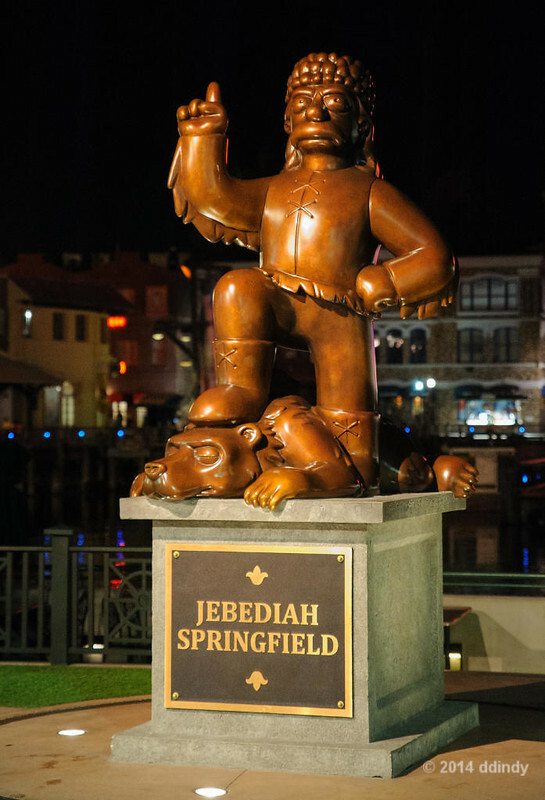 "A noble spirit embiggens the smallest man!" I'm posting photos from Universal this week to give you an idea of what parts of it (primarily the Wizarding World sections) look like. That way, if you opt to join us there during Pixelmania, you'll know what to expect. 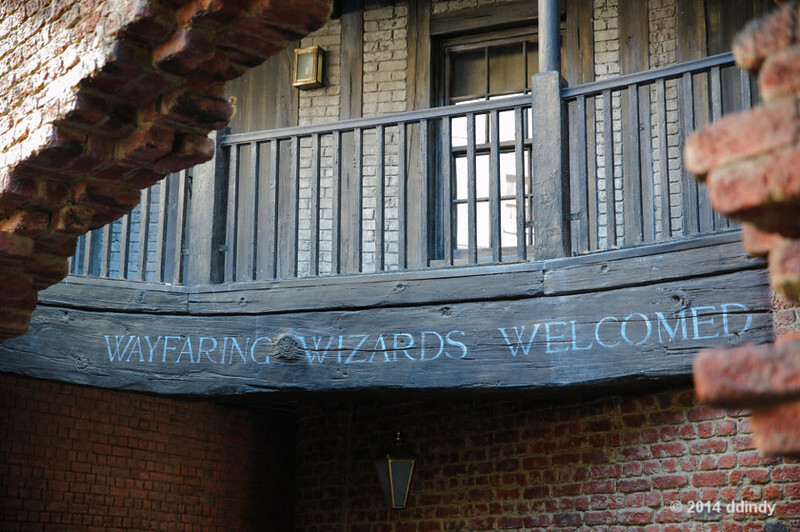 We'll start with the entrance to Diagon Alley (which is a play on the word "diagonally.") This is what you see if you've found the hidden path into the Wizarding World. For those not familiar with the Harry Potter stories, the Leaky Cauldron is an inn in the heart of London. The part that faces the muggle (non-magical) world is nondescript and easily missed. 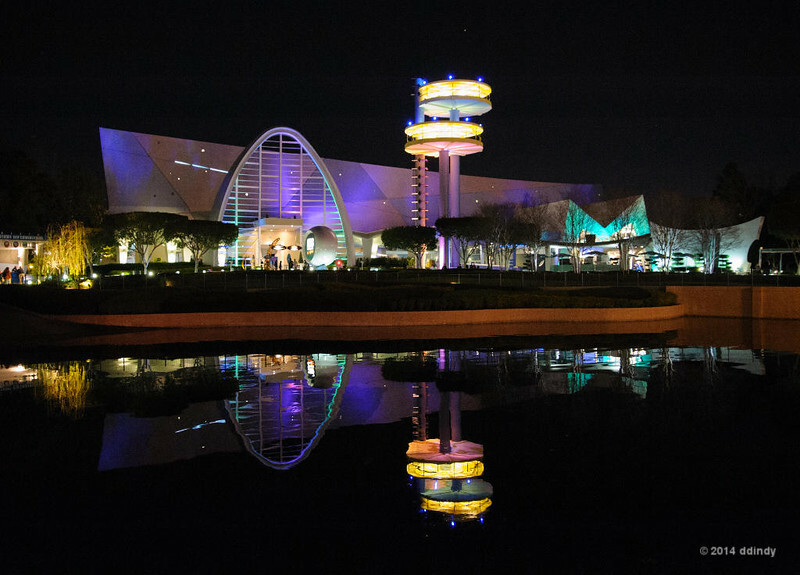 (In fact, I missed it completely in Universal; that's a shot for the next trip.) The back of the inn, seen here, faces Diagon Alley. Wizarding folk can find a drink, a meal and a bed here. 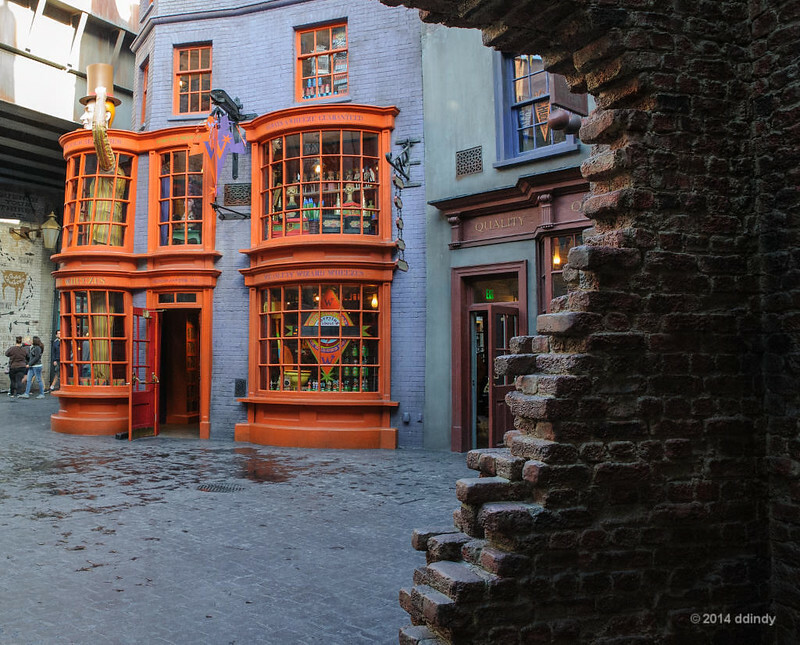 You can get an idea of what the whole Diagon Alley experience is like with this shot in the heart of the district. 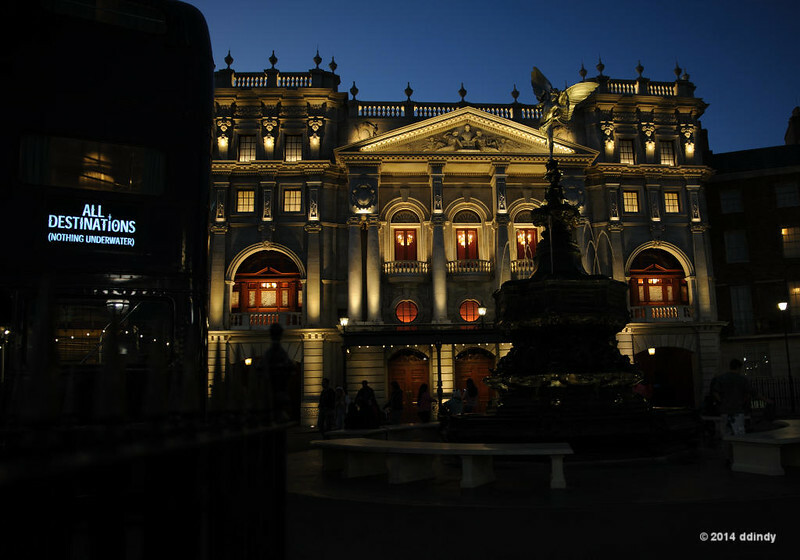 You can see the head of the Gringotts dragon overhead, the arcade in the distance and Florean Fortescue's Ice Cream Parlour on the right side of the intersection. For those who want something a little stronger, the Fountain of Fair Fortune, just out of frame on the right, serves a variety of beers including the exclusive Wizard's Brew and Dragon Tail Ale. 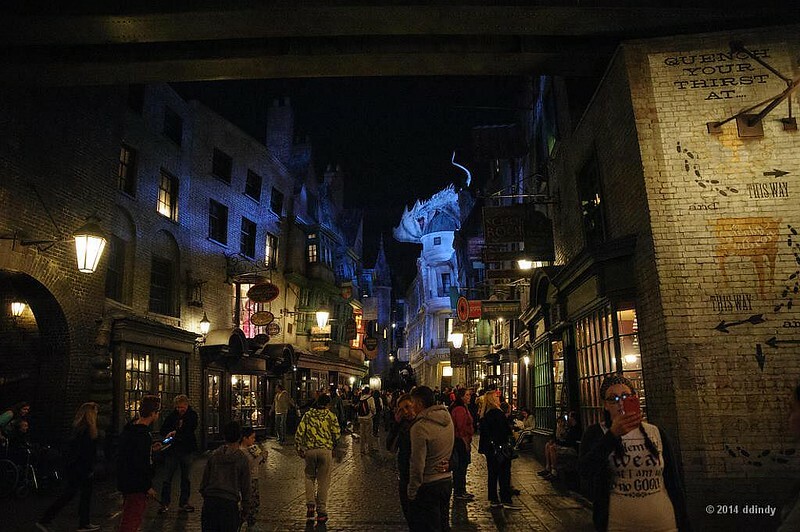 Diagon Alley takes on a different look at night. But if you're up to no good, it's best not to advertise it like the woman on the right. 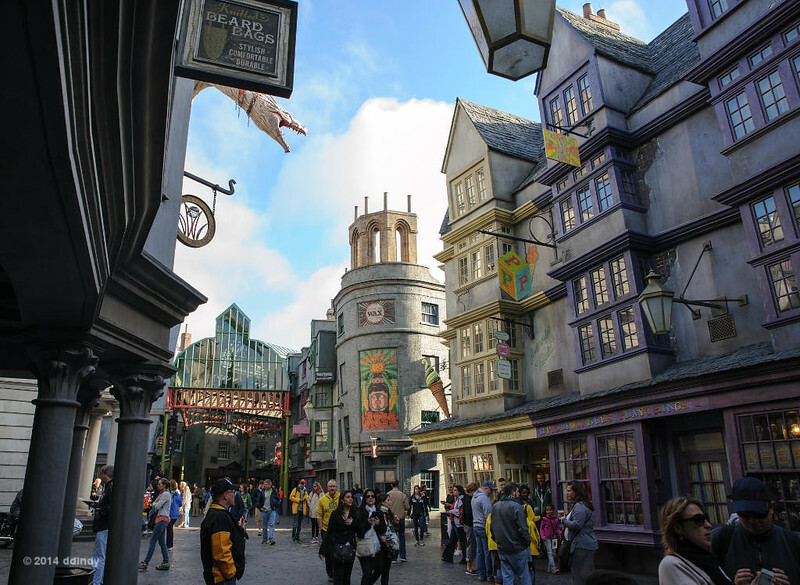 Diagon Alley is not just a bunch of pretty facades. Sprinkled amongst the shops vying for your money are a few establishments right out of the Harry Potter books. 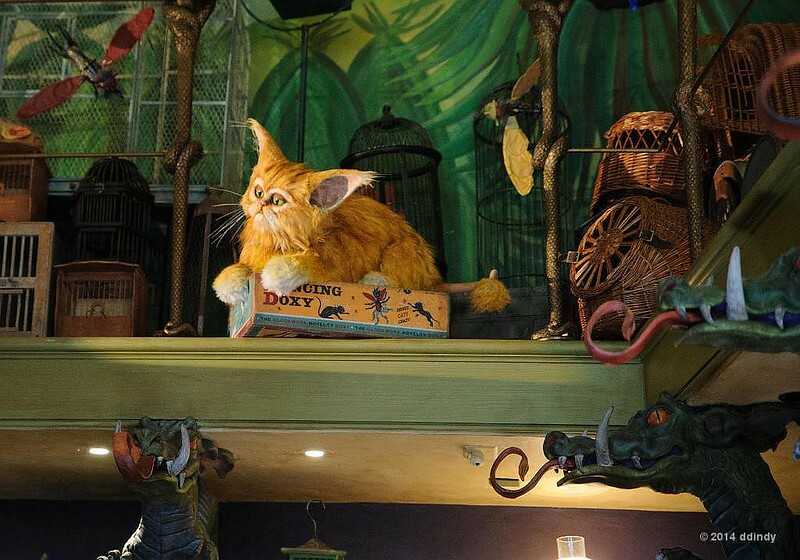 The Magical Menagerie is full of interesting creatures such as this animatronic kneazle. 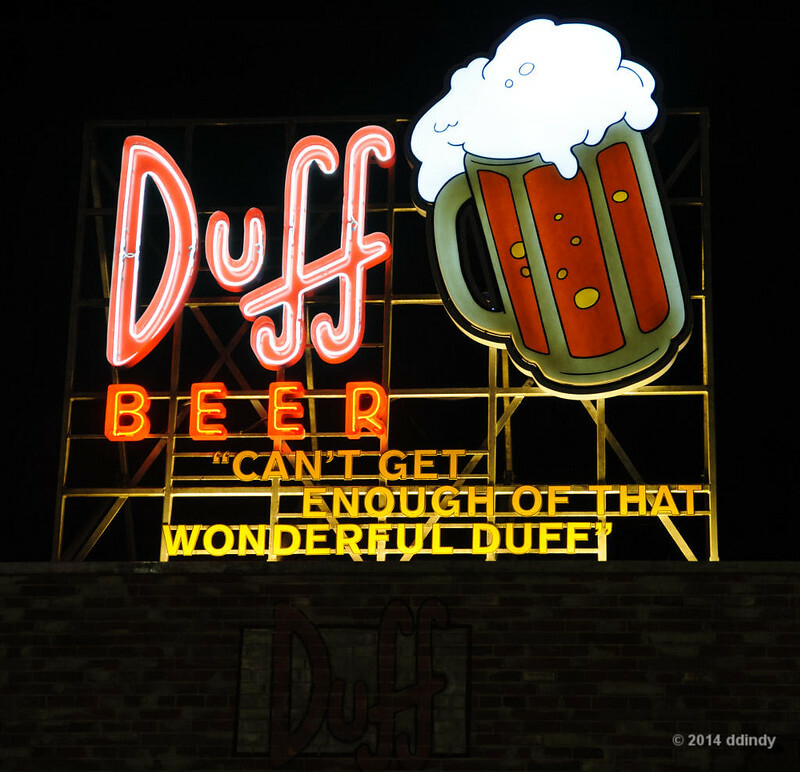 And once again we return to Springfield, where Krustyland beckons. Give your money to toothless carnies running rigged carnival games. There was a welcoming committee when I arrived at Diagon Alley in the morning. I don't know if this is standard or if they were just keeping folks away from the film crew in the background. 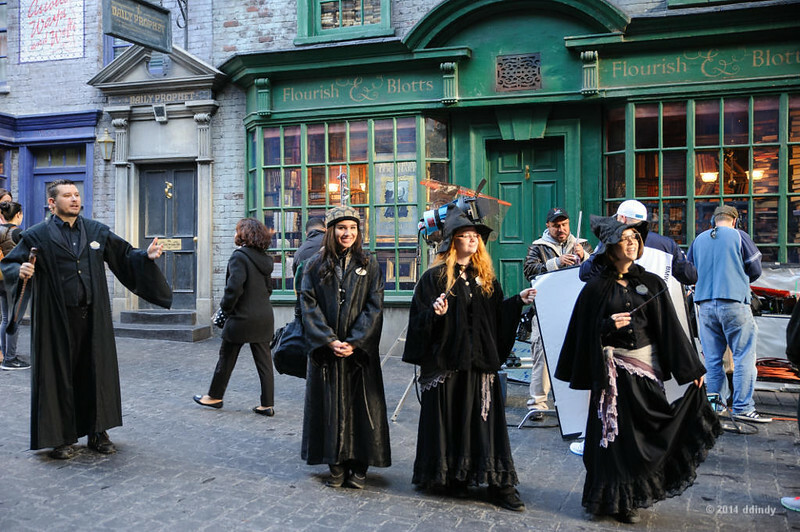 Diagon Alley is not just theming and team members in black robes. 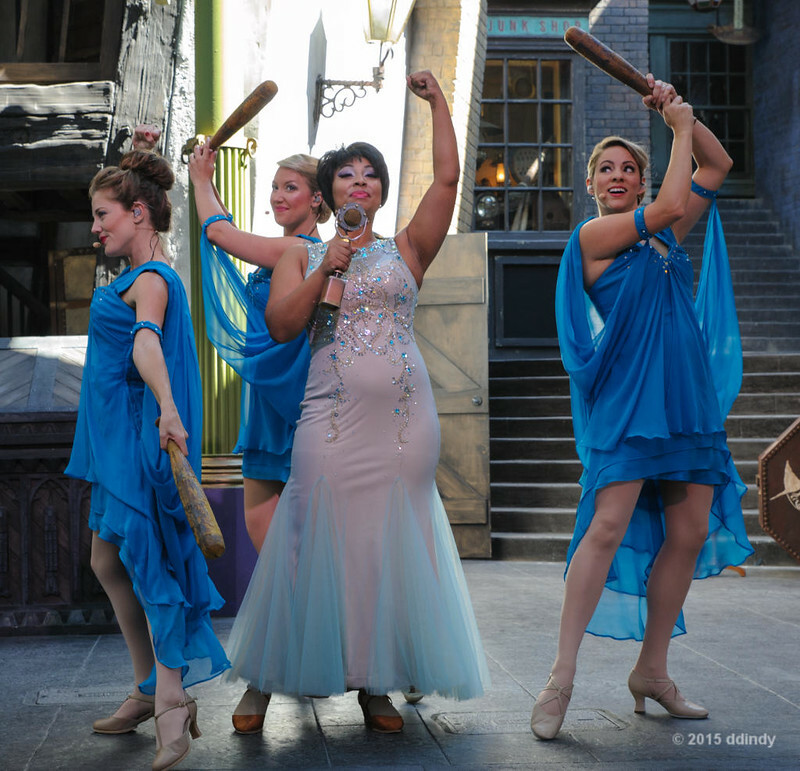 There's also entertainment, like Celestina Warbeck and the Banshees. They're performing their salute to quidditch, called Beat Back Those Bludgers Boys and Chuck That Quaffle Here.